Don’t let wasps spoil your next barbeque - protect your family and guests with our Victor all-natural wasp trap. Simply place the trap in a corner of your yard, and let its proven attractant do the rest. The wasp trap’s all natural bait draws wasps and Yellow Jackets inside the trap and keeps them there. Safe, effective, and 100% pesticide free, the Victor wasp trap is your passport to a wasp-free summer. Eliminates wasps without harmful chemicals. A simple, leak resistant, disposable trap with a non-toxic attractant to lure in those nasty wasps. Wasp bait included (refills are available separately). The trap’s all-natural bait attracts nearby wasps and yellow jackets, and captures them within the jar. After about 14 days, simply empty the dead wasps into the trash, replace the bait, and the reusable Wasp Trap is ready to go again. Traps should be hung in late evening or early morning when Wasps are not active. Open Lid and remove loose contents. Remove bait from package and place into bottom of trap. Add water into jar up to Liquid Bait fill line and add two drops liquid dish soap. Replace lid and attach hanger to sturdy object such as a fence or tree branch. To hang trap, tie a knot on one end of the hanger. Place the wasp trap in areas where wasps are present - light colored outdoor walls, warm sunny areas, stables or food processing areas. Place trap away from people and pets, in areas where wasps are present. Place in calm, sunny locations about 25feet (7-8meters) from activity areas. Empty trap as required and replace bait, water and liquid dish soap. When replacing the bait, remove lid and dump contents into compost or garbage. The bait is completely organic and will decompose. Is the Wasp Trap safe for bees? Yes, the Wasp Trap is designed to attract only wasps and yellow jackets. Bees are not attracted to the trap. Will the wasp trap work with all species of wasps? The Yellow Jacket Wasp bait is designed to work with the most common types of wasps such as Common and German wasps. Some rarer species may occasionally require a different bait. Also, diet cycles of Wasps may vary. We encourage experimenting with supplemental baits such as lemonade, fruit juices, beer or sugar water. I have a wasp nest. Will the trap solve my wasp problem? No. 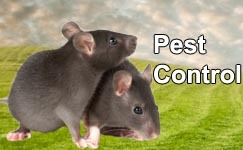 If you have a wasp nest you will need to call in a local pest controller to remove the nest. Do not attempt to destroy or remove the nest yourself. 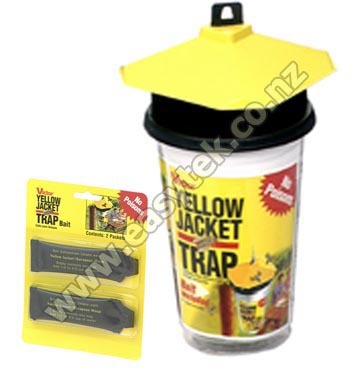 Victor Wasp Trap M365 reviewed by Annette H., Auckland on 2016-11-16 . Victor Wasp Trap M365 reviewed by Dinah E. on 2014-11-25 .
used Brownie points to purchase. Victor Wasp Trap M365 reviewed by Lisa D. on 2014-10-22 . Victor Wasp Trap M365 reviewed by Ian Y. on 2014-10-10 . Had wasp trap hanging outside for over a week. Lots of wasps around but not one in the trap. Victor Wasp Trap M365 reviewed by Stephen A. on 2014-01-29 . Victor Wasp Trap M365 reviewed by Brett T. on 2014-01-20 . Victor Wasp Trap M365 reviewed by Stephen A. on 2013-05-08 . Victor Wasp Trap M365 reviewed by Cameron . on 2013-02-11 . Excellent price, fast delivery, high quality product!